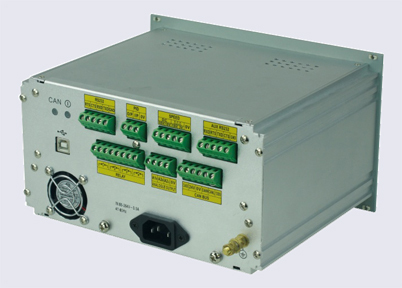 Provide PI control of insulation thickness. Integrates seamlessly with Proton Products InteliSENS®SL and SLR Series Speed and Length Gauges for line speed measurement. Integrates seamlessly with Proton Products InteliSENS®CG Series Capacitance Gauges for insulation diameter measurement. 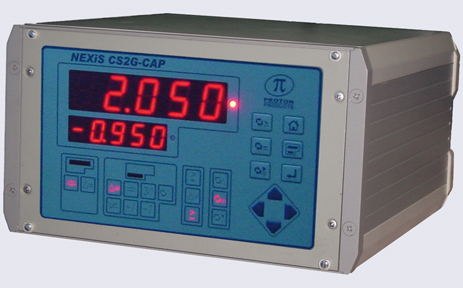 The Proton Products NEXiS® CS2G-CAP controller is for use on wire insulation extrusion lines. NEXiS® CS2G-CAP controllers connect to Proton Products InteliSENS®Capacitance Gauges and Speed and Length Gauges for measurement of insulation capacitance and line speed respectively. These measurements are then fed into a PI feedback controller whose fully-isolated and floating output may be used to drive insulation extruders or capstan drives. Insulation capacitance is thus actively controlled and kept in tolerance by the NEXiS® CS2G-CAP controller.